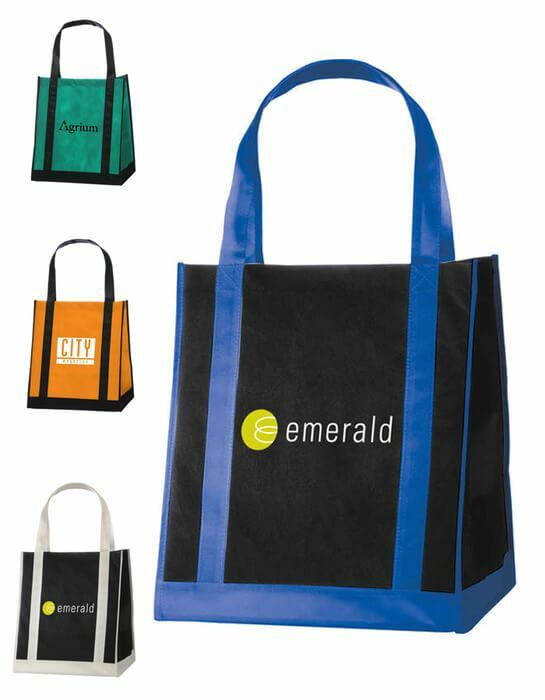 Two-tone tote features a large open main compartment with a supportive bottom board. Double 20" reinforced handles. Reusable and a great alternative to plastic bags.